There is nothing quite like being able to snuggle up at home in front of a roaring fire. Particularly during cold or grey days. Your first thought may often be to opt for a fireplace for your home, either utilising an old one that you already have, as well as buying and installing an entirely new fireplace. However, this isn’t the only option that you have. Aside from a traditional style of fireplace, you can also choose fireplace inserts. But what makes a fireplace insert such a great option to consider? Whilst a traditional fireplace helps to warm up a room, you may not realise that only 5% to 10% of the heat that it produces actually makes it into the room. The rest of the heat will make its way up the chimney and out into the air. This means that you need to burn your fire for longer and you will be pushing more harmful chemicals into the atmosphere. With a fireplace insert, more of the hot air is going to be pushed into your room and you will need to burn it for less time. Love the idea of being able to relax at home and unwind next to a roaring fire? There is something therapeutic about watching flames flicker and move around. One of the biggest benefits to having a fireplace insert in your home, is that it allows you to sit and watch the flames through the glass doors, rather than hiding them away. As we have already seen, a fireplace insert is a great way to burn a fire for less time. Not only this, but they help to heat up your room in less time too. 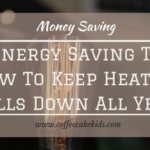 This means that you need to spend less money on other methods to heat your home, which will save you money on your energy bills; and who doesn’t love saving money? The trouble with standard fireplaces and chimneys is that they need to be cleaned and maintained on a regular basis. The same cannot be said about fireplace inserts – they not only improve the integrity of your fireplace and chimney, but they also come with a long term warranty too should you need any work to be carried out. The last reason why many people decide to install a fireplace insert into their home is because it looks great. Whether they are planning on staying in their home for some time, enjoying the look they have created, or eventually decide to sell their home, having a fireplace insert is going to be a sure fire way to make sure that your home looks the very best it can be. Wood burning fireplace inserts are a great option for your home. 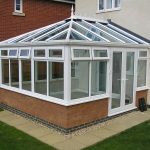 Whether you choose them for functionality or for style, you will be sure to find that you have made the right decision in no time at all. 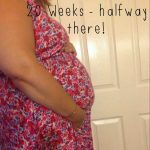 Halfway there – 20 weeks!